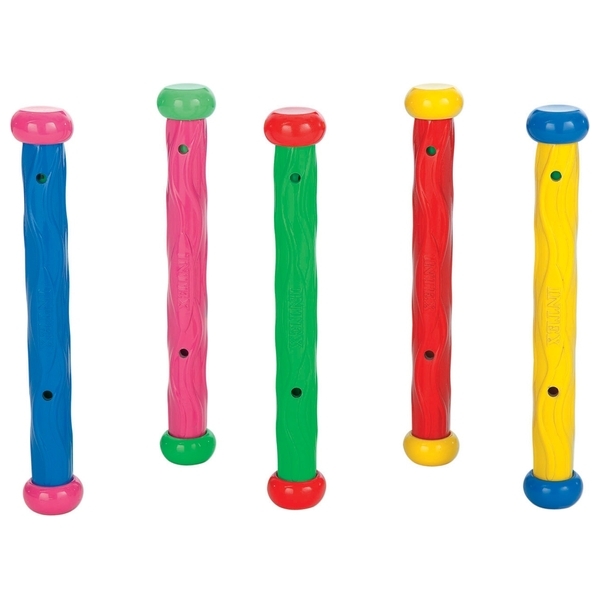 Intex Under Water Play Sticks are made from a soft flexible material for safety. There are 5 bright colours in one set that stand upright on the bottom of the pool. EU Warning: Under water play requires adult supervision at all times.